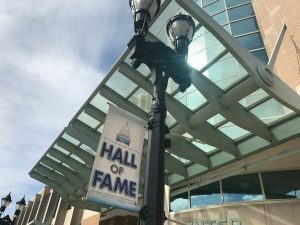 Founded by the Sports and Recreation Committee of the Lansing Bicentennial Commission and inaugurated July 4, 1976, the Greater Lansing Area Sports Hall of Fame was established to honor our nation’s first 200 years through the celebration of Mid-Michigan’s athletic legacy. Through the vision of the Lansing Bicentennial Commission and three long-time residents – Clayton Kowalk of the Lansing School District, Walt Lingo of Lansing Community College and Burt Smith of Michigan State University – the Greater Lansing Area Sports Hall of Fame stands as a symbol of achievement, commemorating the collective dedication and spirit of our athletic community. Located in the heart of Michigan’s capital city, the Lansing Center has been one of Michigan’s premier venues for conventions and celebrations for over 25 years. Considered the Hub of downtown Lansing and professionally managed by the Lansing Entertainment and Public Facilities Authority, the Lansing Center is conveniently situated in downtown Lansing with an attached covered sky bridge connecting visitors to both parking and hotel accommodations. In addition, the Lansing Center is situated within walking distance of so many exciting features that include over 40 restaurants, several museums, and Michigan State University’s campus, home of the Spartans, located just minutes away.